LIGHT UP YOUR BIKES AND RIDE! 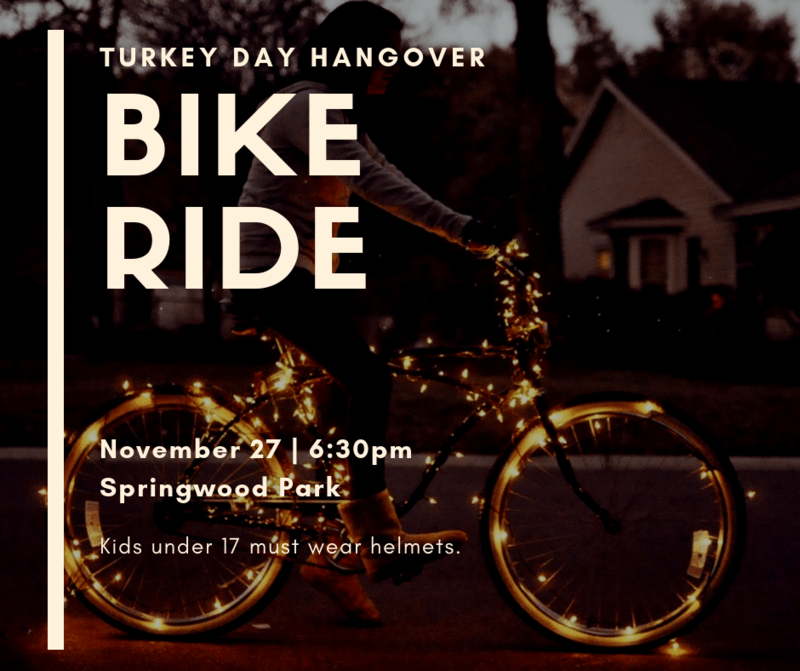 Meet up on Tuesday, 11/27 at Springwood Park 6:30pm. About an hour spin around town. Get creative with lights!